Arriving early morning to the capital city, it was easy clearing customs and immigration, although it took more time for the bags to arrive. 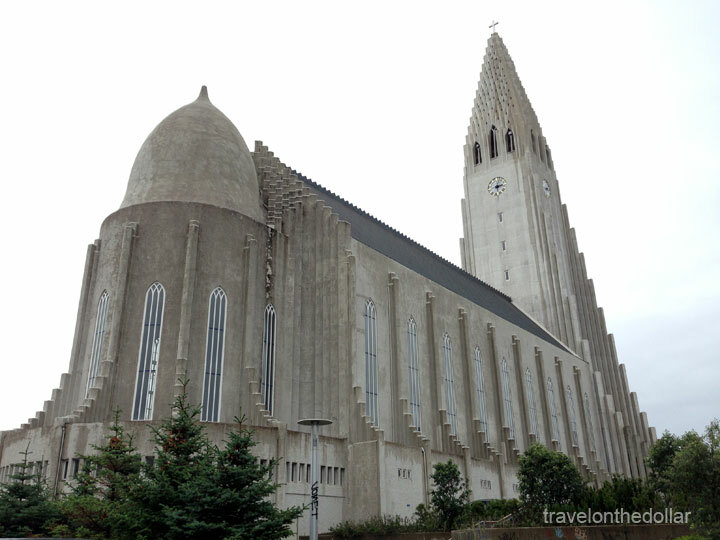 If you have not booked a rental car, then the easiest, cheapest and perhaps the only way to reach Reykjavik from Keflavik International Airport (KEF) is to take the FlyBus (shuttle bus) to the city taking 50 minutes and ISK 1,950 one-way. The ride ends at the BSÍ Bus Terminal in the city center and you will have make your way to reach to the hotel. Buses depart every hour from each direction. If you plan to take the shuttle bus back from the city to the airport on your departure, then make sure to get a return ticket that costs ISK 2,500. If you want to be dropped to your hotel, then pay an additional charge and get the ISK 2,500 ticket, which will still get you to BSÍ Bus Terminal and then smaller vans will take you to the hotel. If the bus is full for a particular departure time, they will ensure to bring in another bus which will start within 5 minutes of the first one. 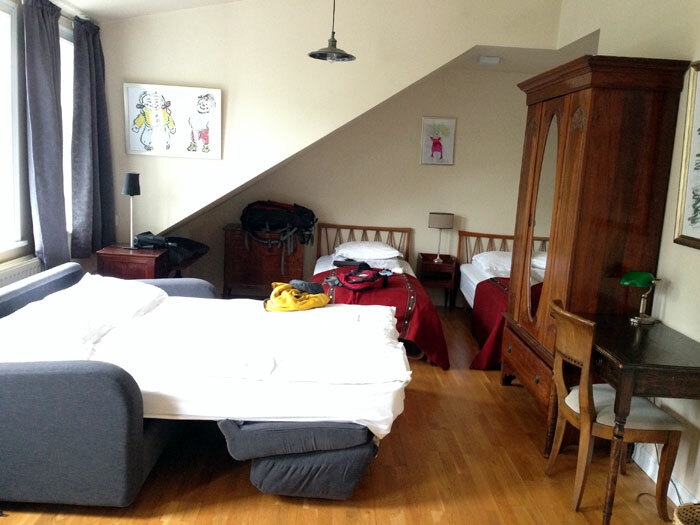 We reached the bus terminal in less than an hour and made our 20-minute walk to Alfholl Guesthouse barely minutes away from the city center. 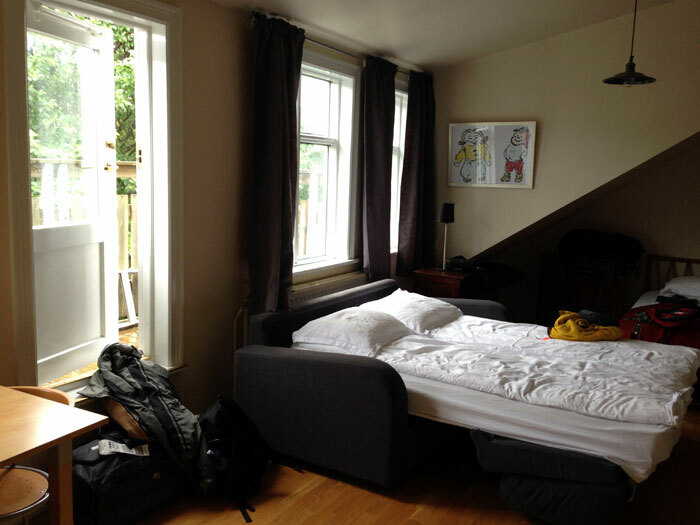 Having booked a studio apartment, we were on the top floor with a view of the city over the balcony. The room had a kitchenette, refrigerator, and bathroom insuite. 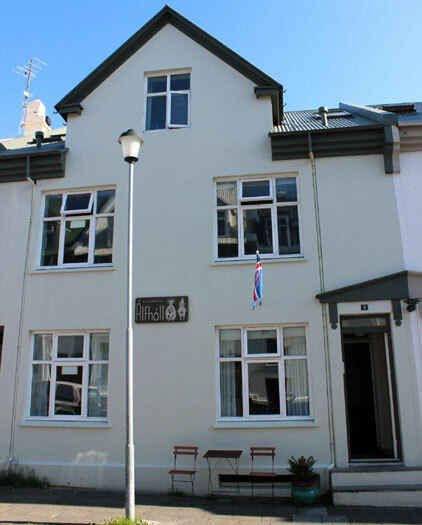 Generally, tap water is safe to drink in Iceland, but the tap water in this guesthouse had a peculiar aroma of sulfur in it, making us purchase bottled water. You are required to remove shoes in the porch and walk up to the rooms. 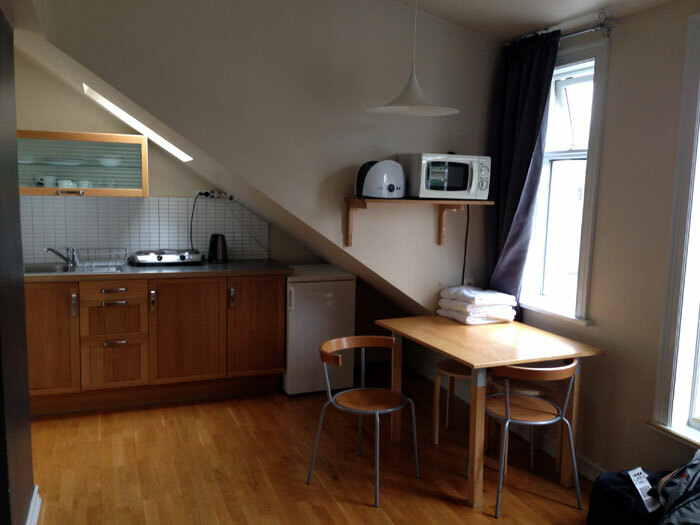 Breakfast is included in the price of €50 a night per person, which is served in the ‘office’ downstairs. Basic breakfast includes bread, ham, coffee/tea, butter/jam and eggs. The guesthouse provides free wifi. 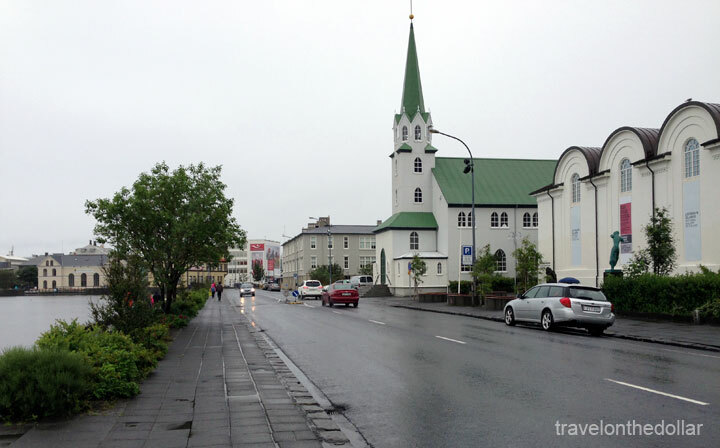 After having checked-in to the hotel, it was time to put on the rain-jacket, get the umbrella and explore some of the sights of Reykjavik, all on a rainy day. There was a street-side food truck selling delicious hotdogs for ISK 700, filled with mustard sauce, onion, tomatoes and ketchup, on our 5-minute walk to the city center. 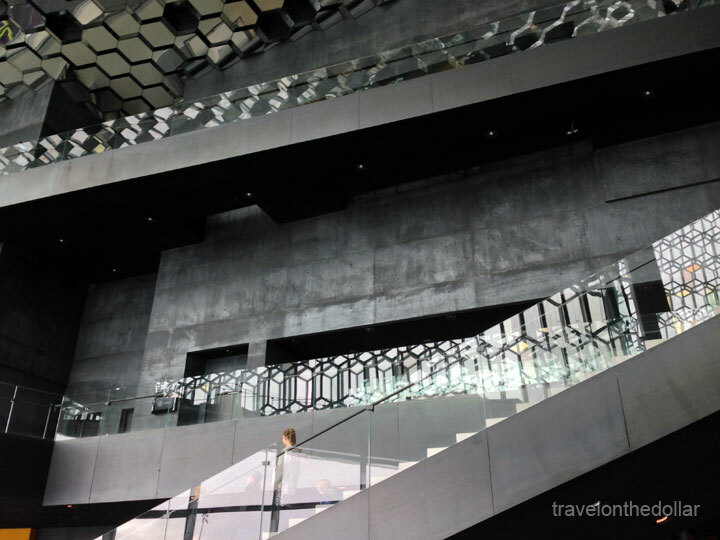 But first up on the list was Harpa – the concert hall and conference center. 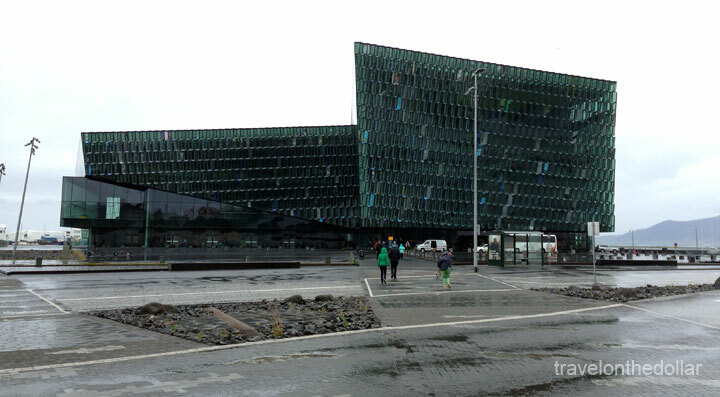 Opened in 2011, this is a majestic icon of the city posing majestically by the Reykjavik harbor. 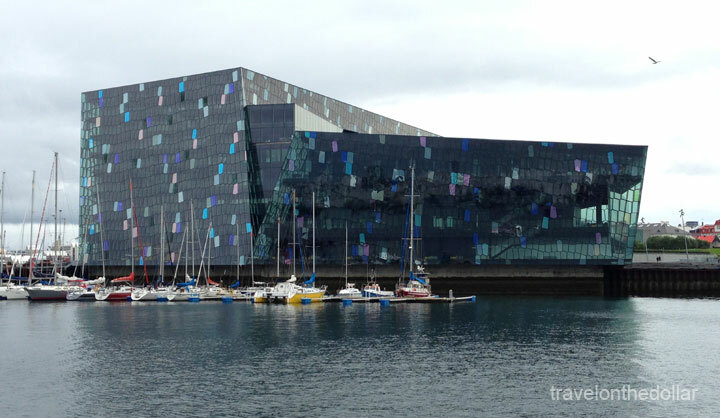 One of the best views of Harpa is from a boat while visiting the Puffin colony off of the mainland. 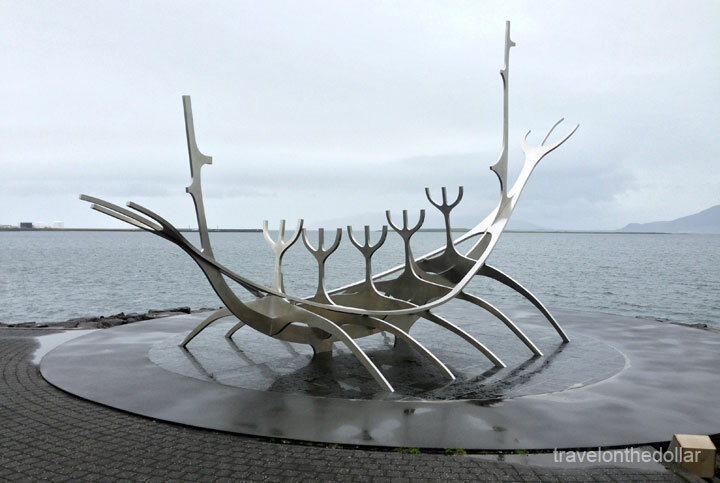 Walking east from the concert hall for about 5 minutes, is one of the most pictured spot of Sólfar – the Sun Voyager, which is a dreamboat, an ode to the sun. 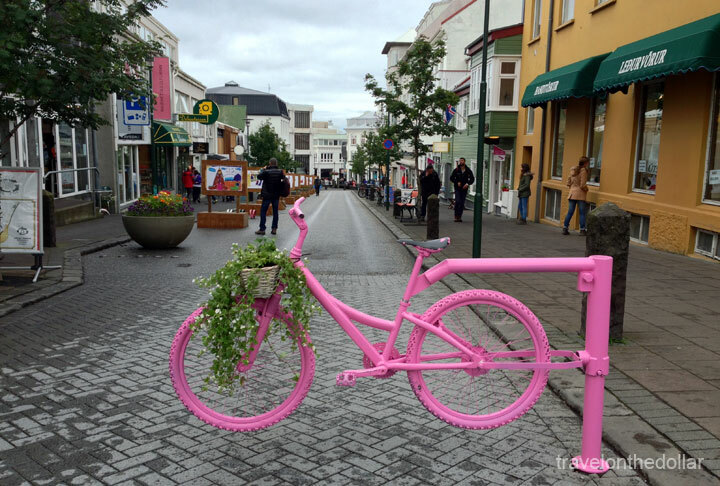 The sculpture is located by Sæbraut, by the sea in the center of Reykjavík. 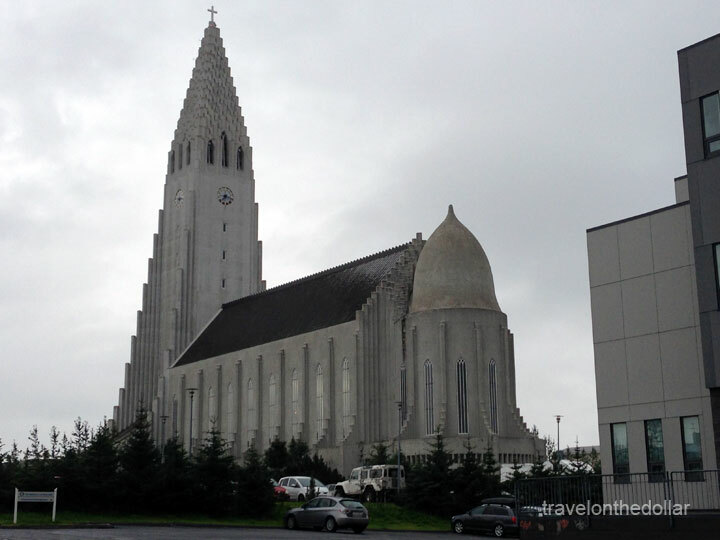 Look inward from Sólfar and you will see the towering Hallgrímskirkja, Reykjavík’s main landmark that can be seen from almost everywhere in the city. 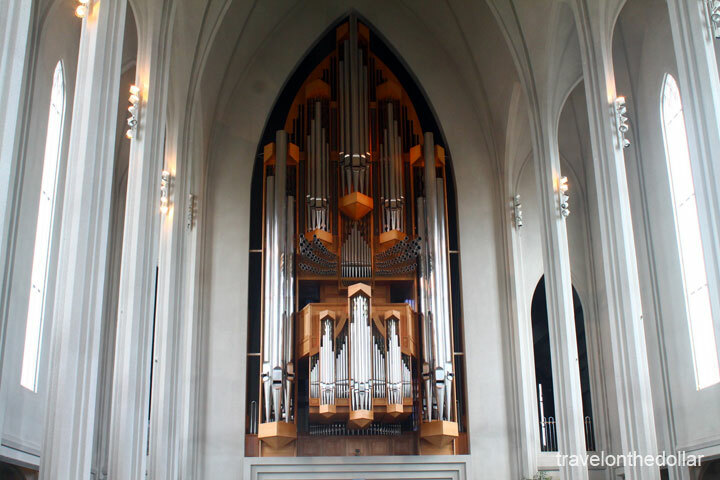 Designed by Guðjón Samuel in 1937, and completed in 1986, the church features, most notably, a gargantuan pipe organ designed and constructed by the German organ builder Johannes Klais of Bonn. Standing tall at an impressive 15 meters and weighing a remarkable 25 tons, this mechanical action organ is driven by four manuals and a pedal, 102 ranks, 72 stops and 5275 pipes, all designed to reproduce powerful notes capable of filling the huge and holy space with a range of tones – from the dulcet to the dramatic. 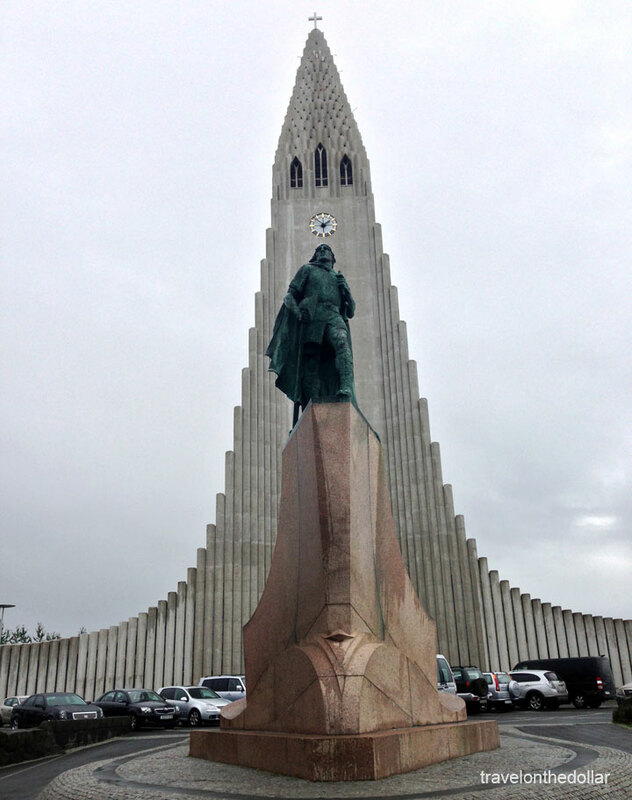 Standing directly in front of the church, and predating it by 15 years, is the statue of Leifur Eiriksson – the first European to discover America. The statue, which was designed by Alexander Stirling Calder was a gift from the United States in honour of the 1930 Alþingi Millennial Festival, commemorating the 1,000th anniversary of the establishment of Iceland’s parliament at Þingvellir in 930 AD. The church is also used as an observation tower. 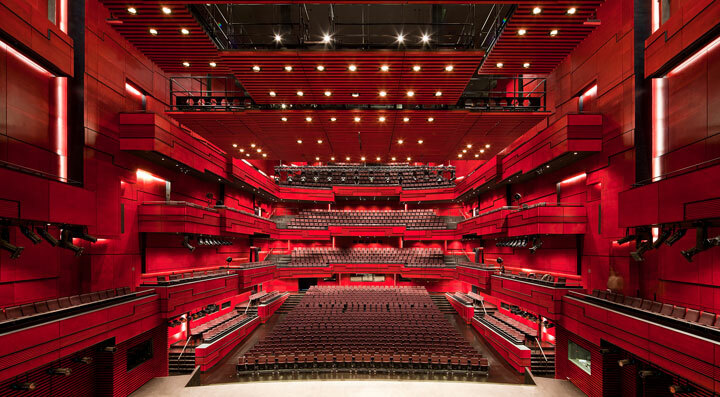 For ISK 700 per person, you can the elevator up to the viewing deck for the best views of Reykjavík and the surrounding mountains. There is no guard on duty to check for tickets. 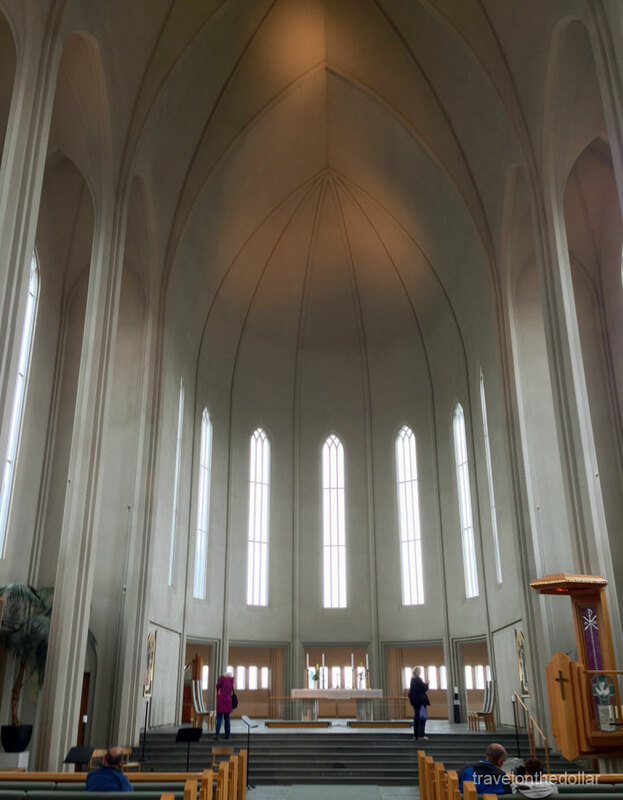 The elevator is on the left just before entering the church. We met a lot of people who were “not aware” of the ticket-purchase before taking the elevator making it a free ride! 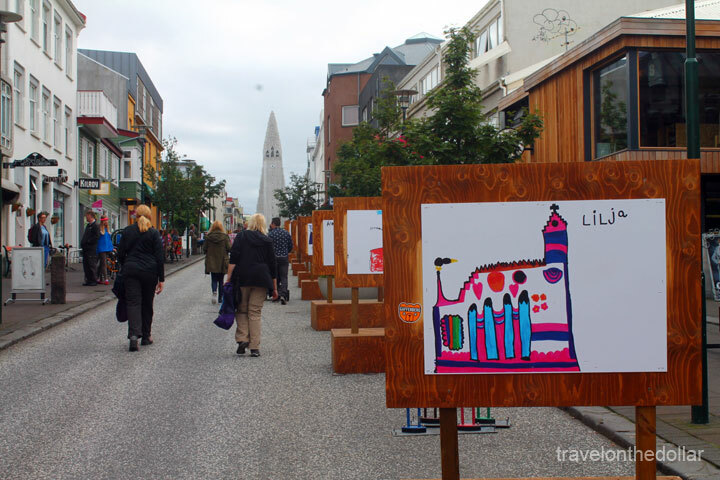 Walking downhill from Hallgrímskirkja will bring you into the heart of the city with pedestrian-only, cobbled streets lined with souvenir stores, restaurants and cafes. 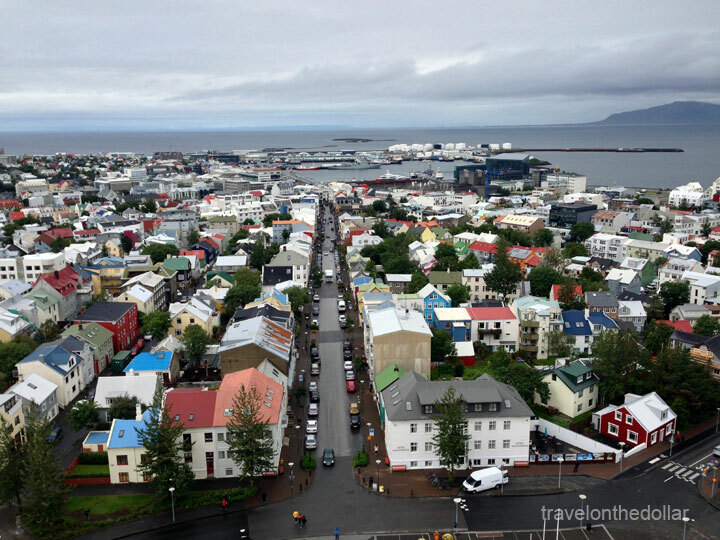 It was almost 4pm by the time we finished visiting the sights and walking around, so we decided to walk to the Old Harbor from where the whale watching and Puffin express boats run. Many companies line themselves along the harbor offering two-hours boat trips to the nearby islands of Engey and Viðey – mainly to watch the puffins residing on the cliffs of these uninhabited islands. 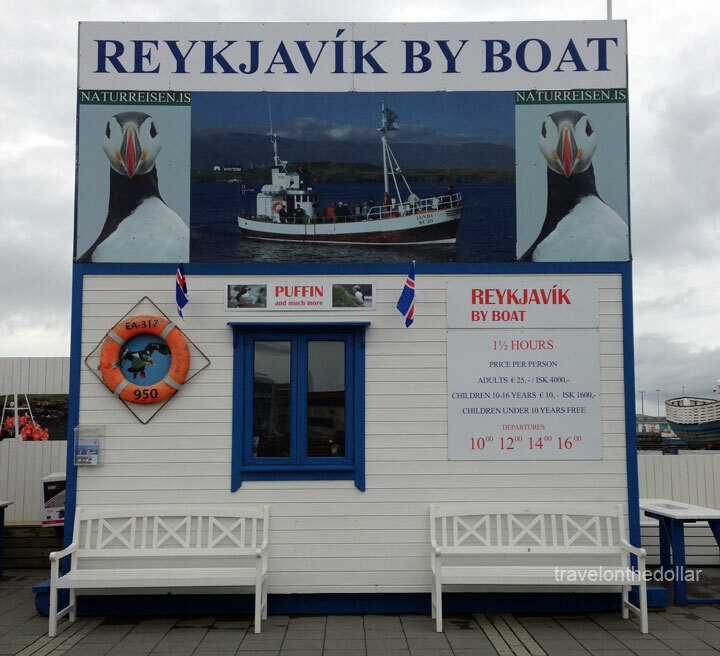 We decided to go with a company called “Reykjavik By Boat” for the Puffin-watching tour, costing ISK 4000 per adult (ISK 2500 for children), including free coffee! 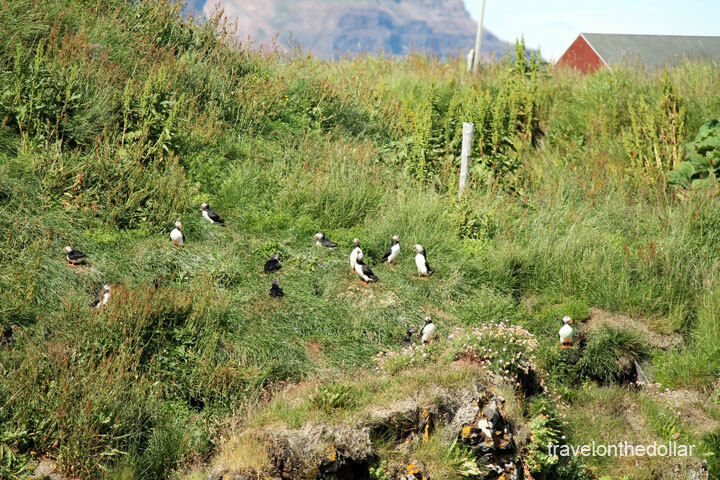 The boat takes you close to the Engey island first, from where you can watch Puffins in their natural habitat. 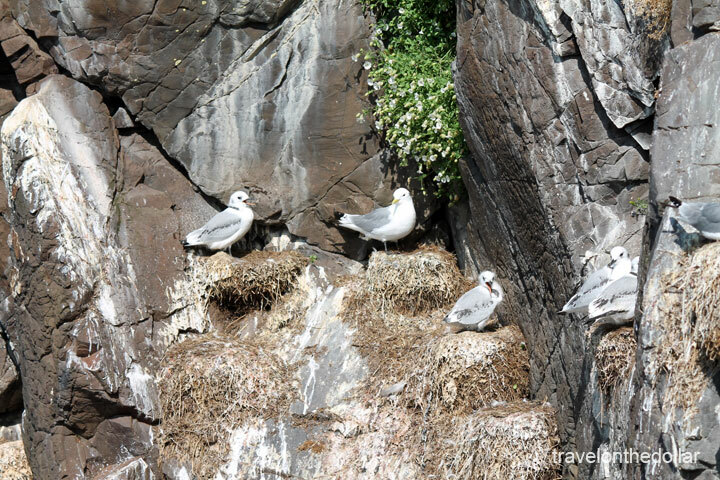 The boat is stopped at a distance to not disturb the birds and you will be given binoculars by the boat company to watch the Puffins and Seagulls nesting in the low cliffs of the island. The tour guide will explain the significance of the birds, their habitat and some information about the city itself. 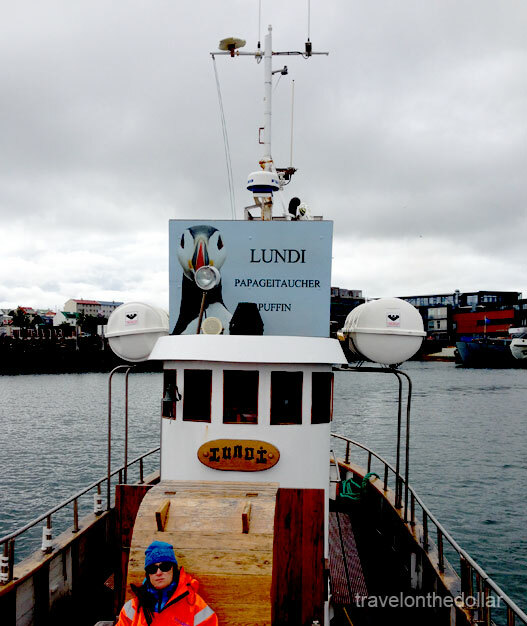 The boat then goes around the Viðey island, with quick stops if they notice any, guess what? Yes… Puffins! 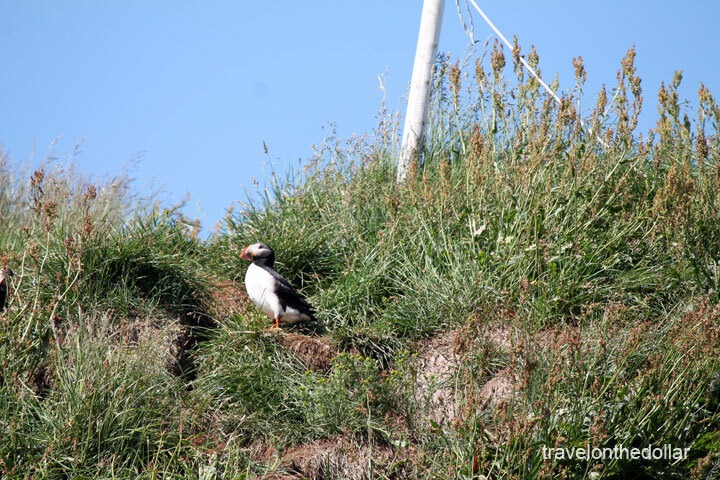 Personally, we thought this was not worth the trip because we had planned to visit some Puffin colonies in the north of the country for a closer look at the clumsy birds. And because they park so far off the Engey island, it’s impossible to take any real pictures of the birds unless you have a high-zoom camera. Although it had stopped raining, it was unbearably cold and windy during the whole boat trip, and we were glad to have reached land, quite unsatisfied and disappointed by not being able to watch the colony close-up. 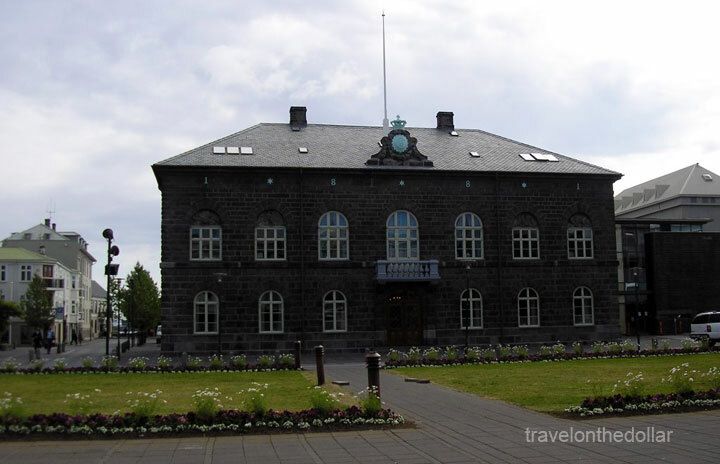 Being in the capital of Iceland, we decided to visit Alþingishúsið – the Icelandic Parliament building. Designed by Danish architect Ferdinand Meldahl and built using hewn dolerite during 1880 to 1881, this is used for primary debates and only some senior parliamentary staff have offices in the building. 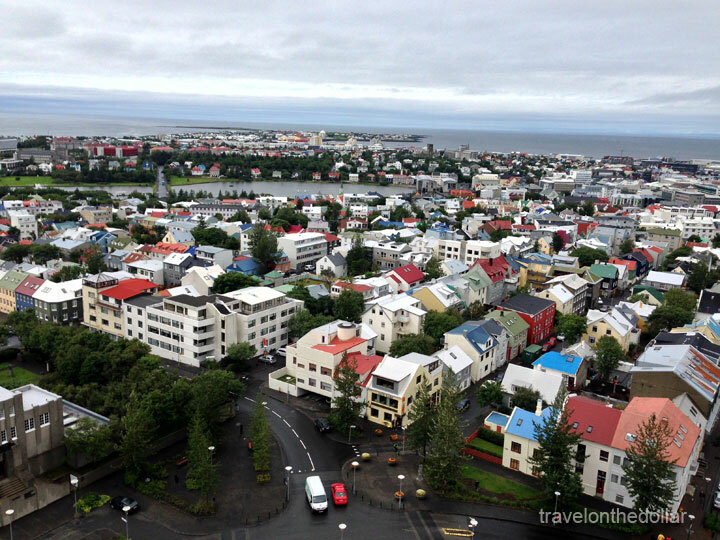 Stopped by some souvenir stores to add the Iceland flag to my collection and get some fridge magnets & postcards. 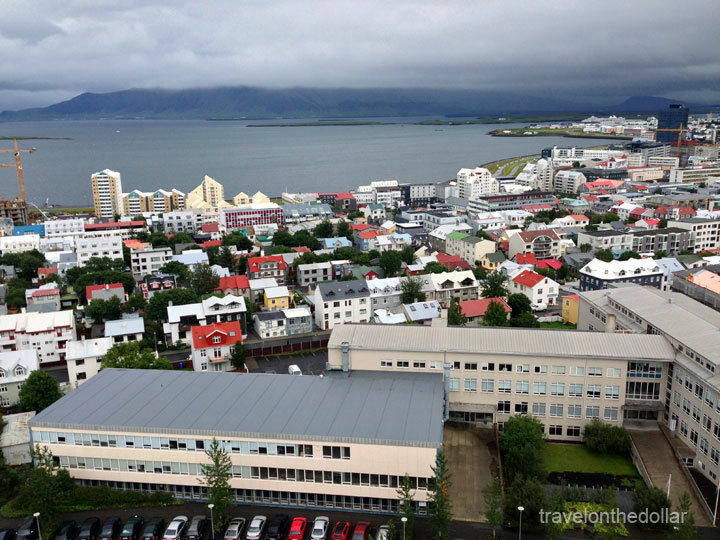 The post office in Reykjavik is open until 6pm so we rushed to the ‘Postruinn’ building just about 5 minutes to close to get the postal stamp of Reykjavik and send out the postcards to family & friends. It was 7pm when we headed our way to the center and stopped in a cafe for some dinner and called it an early day after talking a walk around the center to the hotel. Note: All values in USD, unless otherwise mentioned, are approximate and based on the exchange rate at the time of publishing. Each cost is for one adult. The exchange rate at the time of publishing is assumed to be USD 1= ISK 114. Flybus Tickets $17.10 ISK 1950. One way. Hallgimskirkja Tower $6.14 ISK 700, per person. Puffin Express $38.10 ISK 4000. Per person. Tips, info & everything you need to know. Geysir, Gullfoss, Barnafoss, Hraunfossar, Deildartunguhver, Grábrók, Western Fjords. Blue lagoon & tour of capital city.